The Cadenza** is the first in the Carbon fiber/Pernambuco Hybrid bow options from Eastman. The Cadenza** offers a nickel mounted, ebony frog bow with Pernambuco faced carbon fiber stick. 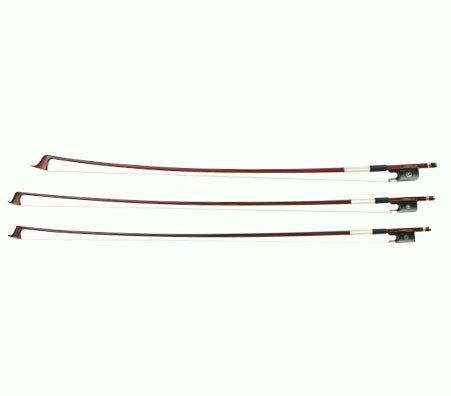 The benefit of hybrid bows is they offer a more traditional look and offer more of the wood bow warmth of sound.